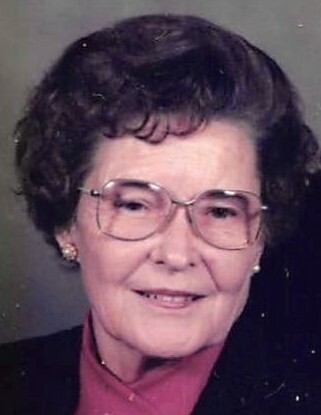 Mary Wallace Berry, 94, of Scottsville, KY passed away Friday, January 18, 2019 at her residence. The Barren County, KY native was a retired beautician and member of New Bethel Missionary Baptist Church. She was a daughter of the late Offie David Cunningham and Neville Berry Cunningham and wife of the late Mitchell Shannon Berry. She was preceded in death by 4 brothers: George Cunningham, Delon Cunningham, Ira Dee Cunningham and J. E. Cunningham and 3 sisters: May Reneau, Willa Vanhook and Gladys Rhinehart. Funeral service will be 11:00 a.m. Monday at Goad Funeral Home with Bro. Billy Moran officiating and burial in Pleasant Home Cemetery. Visitation will be 2:00 p.m. to 8:00 p.m. Sunday and after 7:00 a.m. Monday until funeral time at Goad Funeral Home.